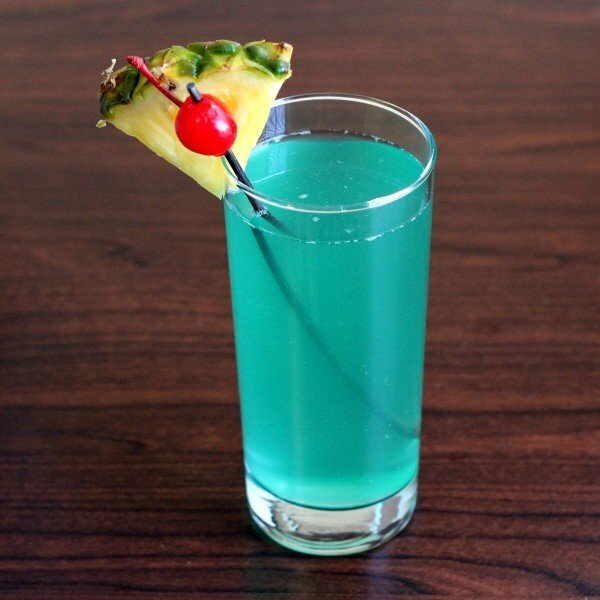 The Caribbean Mist cocktail is one of those drinks that’s all about the flavor, except for the part that’s about the color. 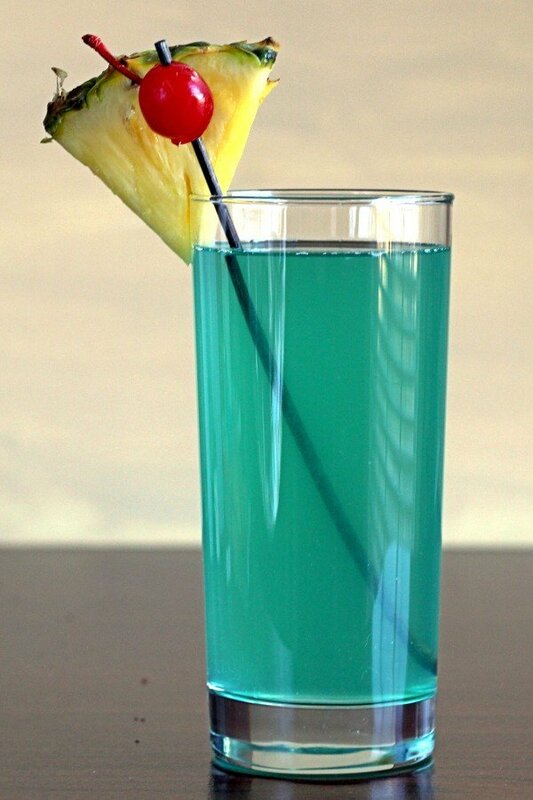 It blends citrus, pineapple, lemon and coconut notes into a lovely blue-green liquid reminiscent of the Caribbean sea. I think of this one as a cross between your traditional tropical rum drink and a margarita (because of the sweet and sour notes). 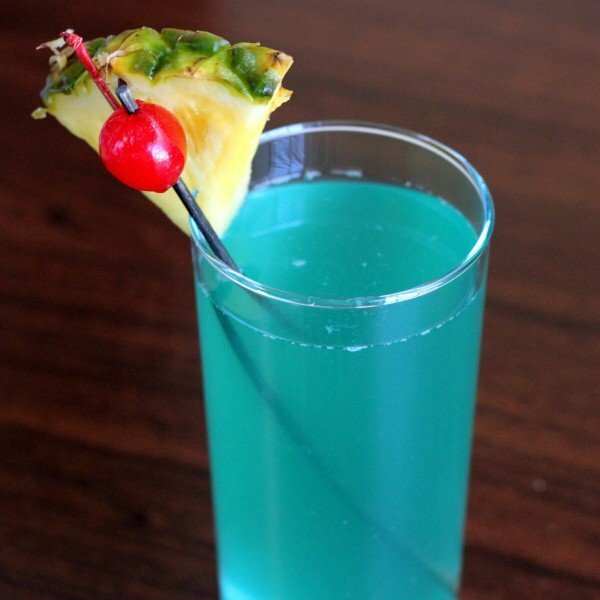 It’s a fun drink to sip along with a meal, but it’s also great as a drink of choice for a night out. Fill a cocktail shaker halfway with ice cubes. Pour in everything but the 7-up, and shake well. Strain the mixture into a chilled highball glass and top up the rest of the way with 7-up. Stir a couple of times, and garnish with a pineapple wedge and maraschino cherry. I’ve seen one very similar to this, that omitted the 7-up and added an oz of Captain Morgan. So good! LOL, probably any sentence that ends with “…and added an oz of Captain Morgan” means something delicious!